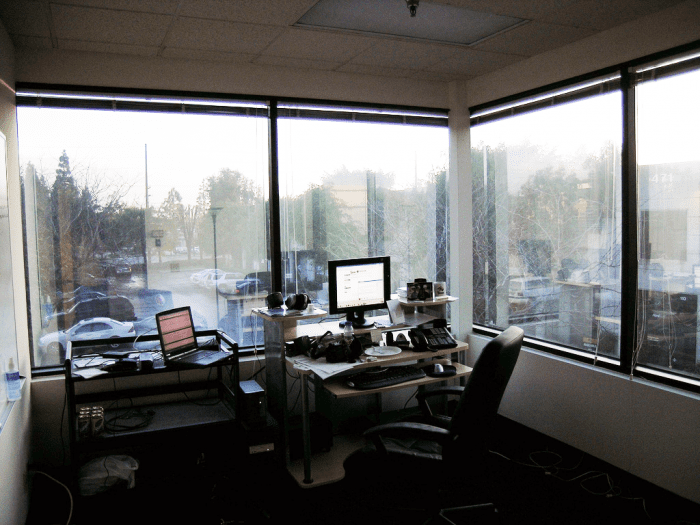 Home Lifestyle Would You Be More Productive Working In Serviced Offices? There are many positives to being self-employed and working from your own home… mainly that that you can actually work in your onesie if you so wish. Read that I totally have done that! However it also great to work from a friend’s house and is actually much more productive than you would expect! Despite the numerous cups of coffee that Jen and I consume! There are times though when I do actually miss working in an office environment, the thought of walking out of an office knowing that your working day is over is quite pleasing. However, anyone knows that in this line of work, one truly never clocks off! To have a serviced office such as one offered by BE Offices would mean that my whole entire office space would be contained in one little room as opposed to being spread out around the house. It would also mean a trip to a stationery shop would certainly be on the cards, it’s only fair really to fully equip a new space with new writing tools! Having previously working in serviced offices, I know how relaxed the atmosphere is and how beneficial it can be to work alongside others in similar roles… it’s also very handy to have a coffee shop on site… however considering how much coffee I can consume would no doubt see me bankrupt in the first week! For the moment though, I quite like how relaxed my working life is – having recently read that performing yoga in the office space helps productivity, I know that I can happily bust some moves in Jen’s living room without shame… knowing full well that she will actually record the moment for future reference! I also like the fact I do not have to deal with rush hour traffic, this is a huge bonus and makes me realise that I have made the right decision. What about yourself? Do you hanker to work in an office environment? Hi Sim, how lovely of you to feature BE Offices in your blog, although I am intrigued at how your arrived at choosing us for a mention? However it was, thank you! Were you to reside in one of our offices you will be happy to know that all coffee, tea, chilled water and fresh apples are included in our serviced office package and as an extra treat for our clients we have free doughnuts every Friday and a pick ‘n’ mix sweet trolley that goes around once a quarter! Anyway, thanks for the shout out and we loved your blog.